A hospital alone shows what war is. 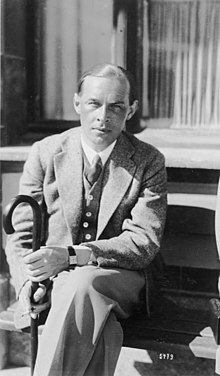 Erich Maria Remarque (22 June 1898 – 25 September 1970), born Erich Paul Remark, was a German novelist who created many works about the horrors of war, most famous for his novel All Quiet on the Western Front. A word of command has made these silent figures our enemies; a word of command might transform them into our friends. The death of one man is a just death, the death of two millions is a statistic. We march up, moody or good-tempered soldiers — we reach the zone where the front begins and become on the instant human animals. I thought of your hand-grenades, of your bayonet, of your rifle; now I see your wife and your face and our fellowship. Forgive me, comrade. We always see it too late. Why do they never tell us that you are poor devils like us, that your mothers are just as anxious as ours, and that we have the same fear of death, and the same dying and the same agony — Forgive me, comrade; how could you be my enemy? Tjaden reappears. He is still quite excited and again joins the conversation, wondering just how a war gets started. 'Mostly by one country badly offending another,' answers Albert with a slight air of superiority. Then Tjaden pretends to be obtuse. 'A country? I don't follow. A mountain in Germany cannot offend a mountain in France. Or a river, or a wood, or a field of wheat.' 'Are you really as stupid as that, or are you just pulling my leg?' growls Kropp. 'I don't mean that at all. One people offends the other—' 'Then I haven't any business here at all,' replies Tjaden, 'I don't feel myself offended.' 'Well, let me tell you,' says Albert sourly,' it doesn't apply to tramps like you.' 'Then I can be going home right away,' retorts Tjaden, and we all laugh. It is very queer that the of unhappiness the world is often brought on by short people. They are so much more energetic and uncompromising than the big fellows.